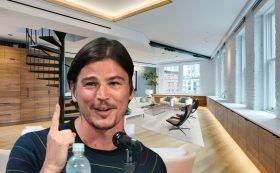 Back in July, 6sqft reported that the elusive Josh Hartnett (“Black Hawk Down,” “Pearl Harbor”) had surfaced to list his sprawling Tribeca co-op at 16 Hudson Street for $4.25 million. 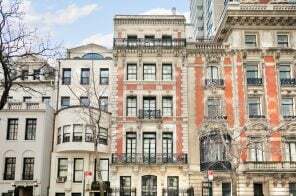 Though the corner penthouse, which Hartnett bought in 2004 for $2.4 million, looks massive, it’s only got one bedroom. The heartthrob actor-turned-producer just had a second child with longtime girlfriend Tamsin Egerton, so we’re guessing more space is key. 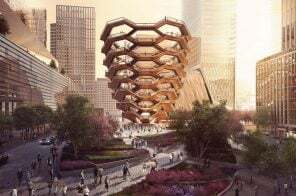 The 1,965-square-foot apartment with One World Trade Center views recently sold for $3.55 million, according to Mansion Global. 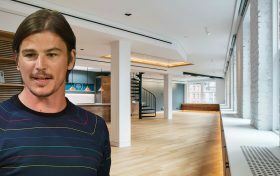 If you’ve wondered where Josh Hartnett’s been for the past decade, the answer may be in his sprawling Tribeca co-op at 16 Hudson Street, which he just listed for $4.25 million according to LL NYC. 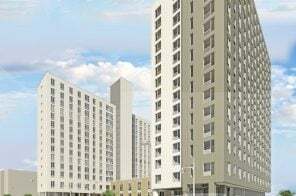 Though the corner penthouse looks massive, it’s only one bedroom, which could be why the heartthrob actor-turned-producer decided to sell; his longtime girlfriend Tamsin Egerton is pregnant with their second child.